this is false, you ask money to open the protected sample archive !!! this is FAKE free samples . Chilling Friends, We would like to invite you to participate in our "Best of the year" poll ! Together let's pick the most interesting ALBUM(s), COMPILATION(s) and LABEL, EVENT, DJ, RADIO and some more categories of 2017. Our goal is to promote the projects and artists that made you happy through their music during the last year. We are sure that artists, labels, djs will appreciate your support in the poll. VOTES OPEN till approximately 15th February => http://2017.psybient.org/ participants of the poll will have a chance to receive music downloads as a gift. hi Guys , big respect to this place for keeping independent vibe in spirit ! 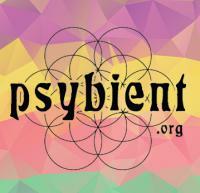 we have been quiet here, but our weekly news and daily work to promote chill is ongoing, feel welcome to visit our site and forum if you are into psychedelic ambient / downtempo / slow trance *** site : https://www.psybient.org forum : https://forum.psybient.org *** Our focus genre includes, but is not limited to psychill (psy-chill – psychedelic chillout), psybient (psychedelic ambient) aka psyambient (psy ambient, psy-ambient), ambient goa (ambient-goa), psydub (psy dub or psy-dub), dub, downtemple-dub, psydubient (psy dub ambient), psystep (psy step or psy-step), psybreaks (psy-breaks or psychedelic breaks), downtempo, midtempo, ambient downtempo, world, ethnic, ethno step (ethno-step), yoga-whomp, global bass, bass, psy bass (psy-bass), temple bass (sacred bass), chillgressive (progressive chillout), ambient, ambient dub, psydm, idm, trip hop, glitch, electronica and meditative. Basically psychedelic downtempo and psychedelic midtempo music. yeah vataff is nice ! i was thinking it is a band not a solo project !